Our team is proud to work towards the goal of delivering an exceptional experience to each and every one of our guests and making the highest quality, home made, ice cream. We are also proud to serve Starbucks Coffee. You are expected to provide a consistent, world-class service to every single customer; exhibit passion for the community, an eye for detail, a willingness to clean, stamina (to serve people in long lines), and the ability to work in an exciting, fast-paced environment. You will be working 35+ hours per week, additional hours may be obtained where available. Pay rate is $11.00 per hour, paid bi-weekly. Island Ventures offers subsidized housing opportunities for seasonal employees. 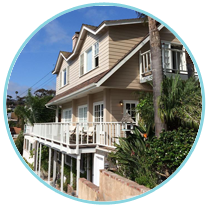 All housing units are located a short 5 minute walk to the beach or work location and some offer spectacular views of Avalon Bay. All housing is shared and rooms have two, three or four beds. All units have living rooms and kitchens, and at least 1 1/2 bathrooms. Rent is charged at $100.00 per week which is deducted from your paycheck. This includes utilities. A $100.00 refundable security deposit, conditional upon the housing unit being clean and undamaged. 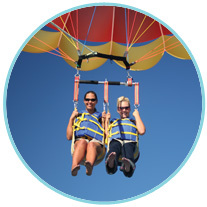 A $50.00 non-refundable deposit is required for annual painting, cleaning, replenishing bedding and dishware and other maintenance at the end of each season. 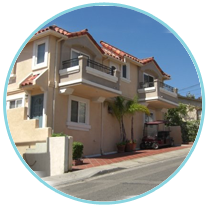 All tenants must abide by the rules and regulations of the housing units and may only work for Island Ventures while living in the company housing units; no outside employment is permitted due to the subsidized housing. 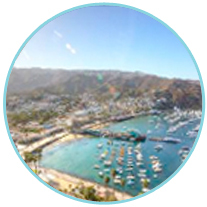 Catalina Island is located 22 miles across the ocean, 1 hour from mainland Los Angeles (15 minutes by helicopter). The island boasts many great beaches, including a private beach and bar offering food and drinks throughout the day during the Summer season (May – September). Avalon is a small town with one night club and a movie theater showing one movie each evening. Therefore evening activities can be extremely limited. Some of the housing units are equipped with DirecTV, including movie channels. 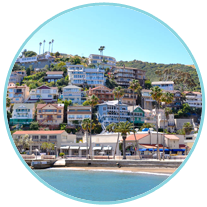 Although interenet access isn’t available directly in the house, employees have the choice to connect to Catalina’s wifi at a small cost, or internet access is widely available in town. Although a gym and other exercise facilities aren’t hugely accessible, the island has some great hiking opportunities; perfect for any exercise enthusiast or budding photographer, as the views really are exceptional!